Labour Markets, Aid, Growth and Development. Jamelia Harris graduated from the London School of Economics and Political Scienc with an MSc. in Economics and from the University of Southampton with a BSc. in Economics and Actuarial Science. 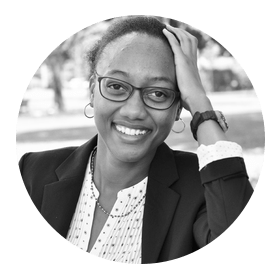 Jamelia has worked as an Economist in Sierra Leone under the Overseas Development Institute Fellowship Scheme, as lecturer at Fourah Bay College; a Research Assistant at the University of the West Indies, and consulted on various projects. She is now reading for a DPhil in International Development at the University of Oxford, where her research focuses on labour markets in developing countries.